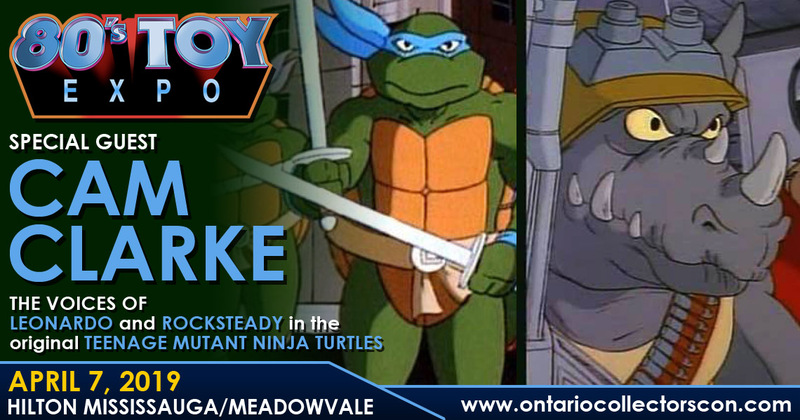 We are very happy to welcome CAM CLARKE the voices of Leonardo and Rocksteady in the original Teenage Mutant Ninja Turtles animated series to 80s Toy Expo 2019. He also voiced Shotaro Kaneda in the 1989 original Streamline Pictures English dub of Akira and was the voice of Prince Adam and He-Man in the 2002 version of He-Man and the Masters of the Universe TV series. Mr. Clarke will be available for autographs and photos all day Sunday, April 7th at the Hilton Mississauga/Meadowvale. We are happy to welcome former WWF Superstar The Brooklyn Brawler to 80s Toy Expo 2019, one of the most prominent jobbers of all time. Steve Lombardi will be available for autographs and photos all day on Sunday, April 7th at the Hilton Mississauga/Meadowvale.